Personal Note from Natalie: I’m always being asked, “Can you suggest any good raw food books to help get me started on this diet?” This book is always on that list. Written by Living Light Culinary Institute founder, Cherie Soria, this book has always been a favorite of mine and I recommend it frequently. Enjoy lots of in-depth information about raw food as well as plenty of delicious raw vegan recipes, how-to kitchen guides, and more. A staple in your raw food library. Personal Note from Natalie: I’ve been following Dr. Garth Davis for a while now, and what he’s doing in the field of merging medicine with healthy plant-based diets is nothing short of groundbreaking. He is outspoken in the best of ways, and I am proud to endorse his book. 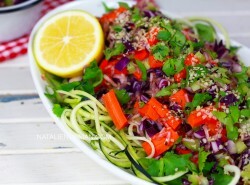 Whether you’re interested in raw or cooked vegan diets doesn’t matter. 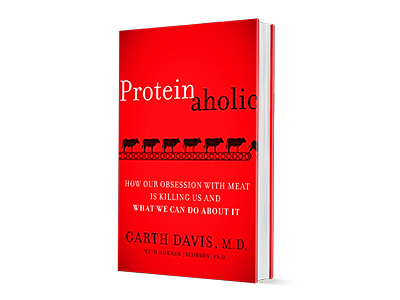 You could just be seeking to reduce your overall consumption of animal proteins and learn more about the biological systems underlying our nutritional needs as humans. Whatever your background, you can benefit from this book. Pick one up here. 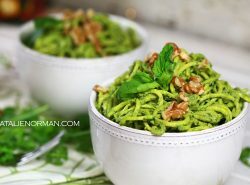 Featuring recipes by raw vegan culinary artist, certified raw food nutrition educator, and plant-based lifestyle expert, Natalie Norman! 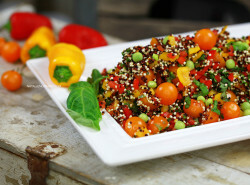 The Complete Book of Raw Food, Volume 2 guides you through the process of creating fantastic raw meals. 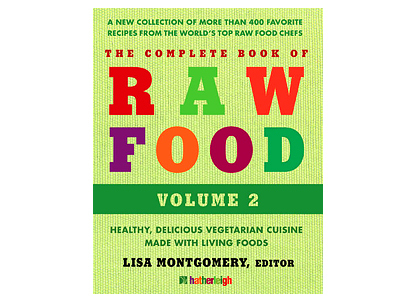 Over 400 favorite recipes from the world’s leading raw chefs have been assembled and curated by acclaimed author Lisa Montgomery. This new collection includes everything from soups and salads to main dishes and desserts, plus smoothies, breads, crackers, dips, and more. 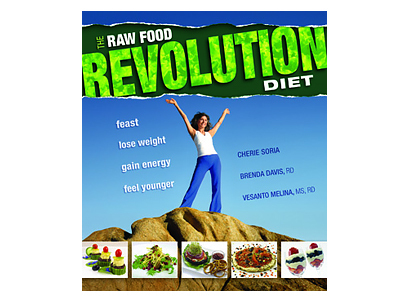 Comprehensive and easy to follow, this raw food book is for anyone who wants to create flavorful, healthy recipes at home. 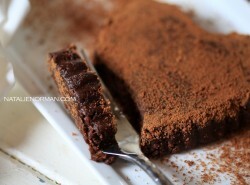 Another must-have in your raw food library!